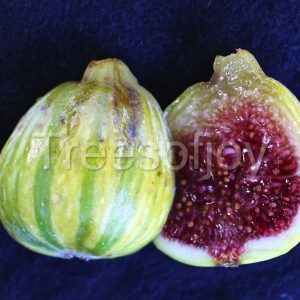 A Greek fig variety originated in northern Greece. 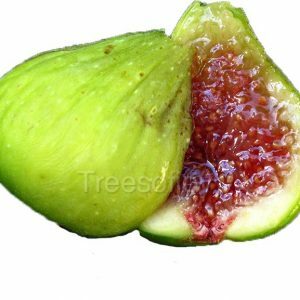 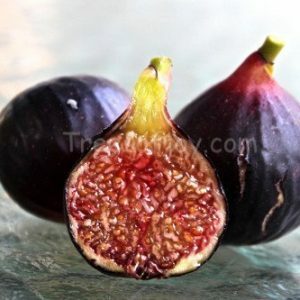 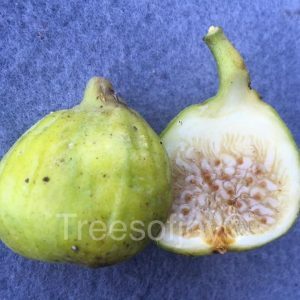 Figs are elongated with green skin and deep red pulp. 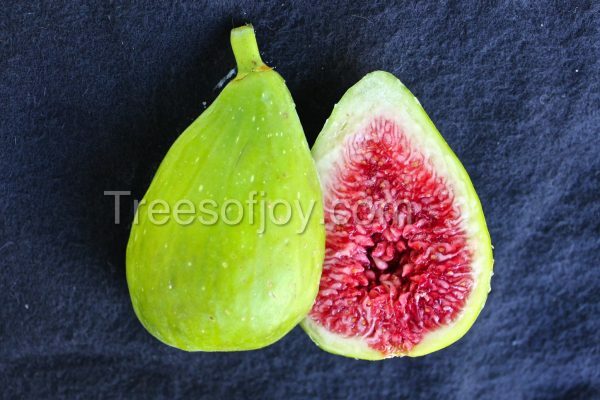 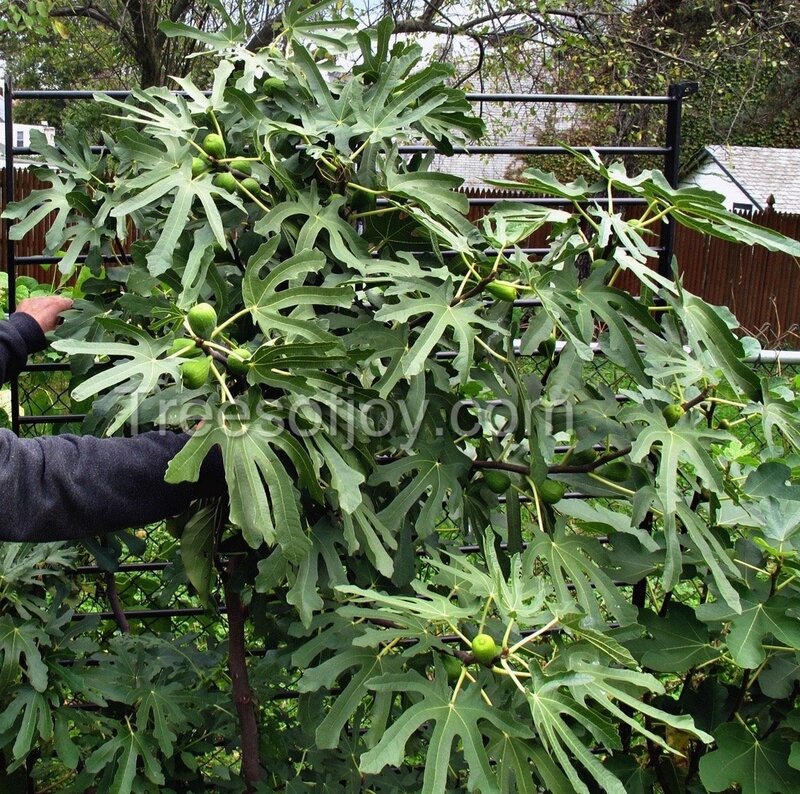 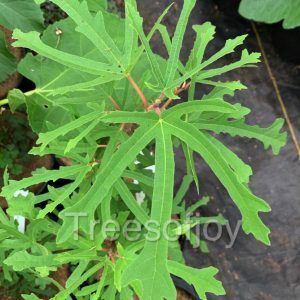 It has very distinctive leaves that stand out among other fig trees. 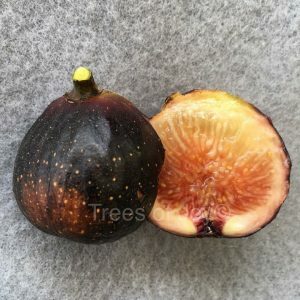 It has a rich sweet flavor. 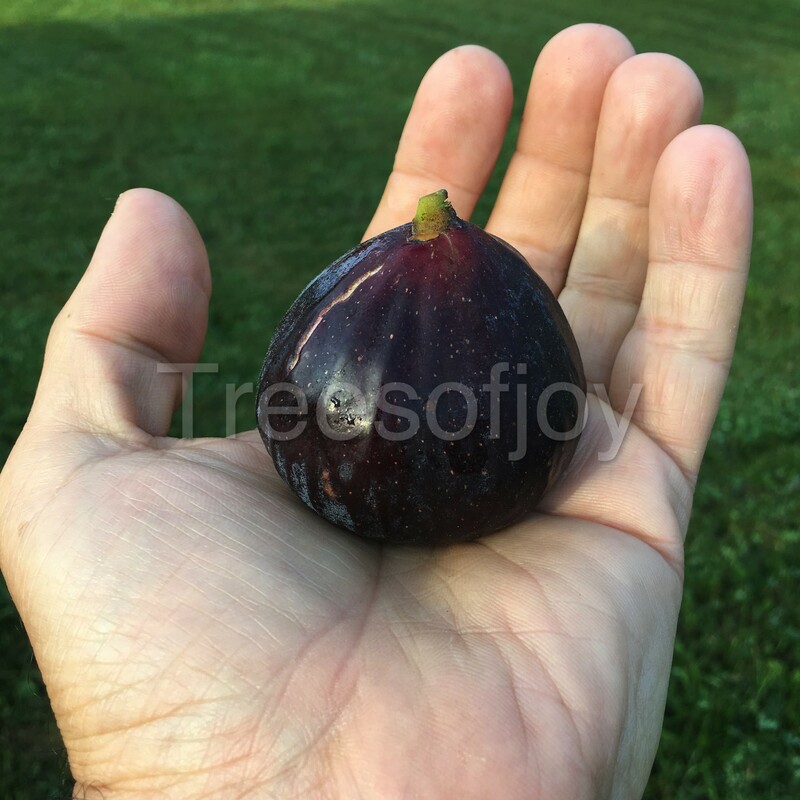 Figs ripen end of summer.